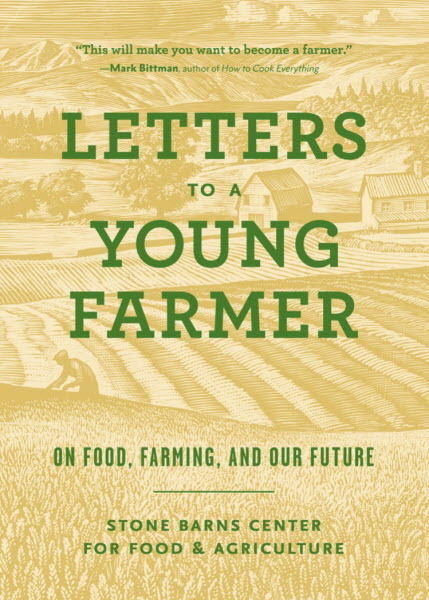 Letters from three Mainers are included in the new book "Letters to a Young Farmer," which gives advice and inspiration to young farmers through a series of letters written by food and agriculture figures. When Eliot Coleman started Four Season Farm in Harborside about 50 years ago, he had the good fortune of having Helen and Scott Nearing living on the farm next door. While most farmers just starting out don’t have back-to-the-land icons as neighbors, with the recent release of the book “Letters to a Young Farmer,” they can now have access to the advice and inspiration of nearly 40 prominent food and agriculture figures who wrote letters for the book. The book was put together by the Stone Barns Center for Food and Agriculture, and features letters from three Mainers, including Coleman, his wife Barbara Damrosch and U.S Congresswoman Chellie Pingree (D-Maine). While the intergenerational sharing of knowledge has been important throughout history, especially amongst farmers, Damrosch and Coleman said with many of today’s young farmers coming from non-agriculture backgrounds, it’s critically important to provide them with the knowledge and advice to succeed. In his 50 years of farming, Coleman, 78, has established himself as an expert on not only organic farming practices, but winter-weather growing, publishing a series of books on both topics. Damrosch, 75, has long had farming ambitions, though without the ability to buy land ― an issue that many young farmers face ― she got her start landscaping and growing a small garden for her own personal use. It wasn’t until she met and married Coleman that she was able to work on her “dream farm,” she said. Damrosch has also written several books, and has a weekly column in the Washington Post. In their letters, Damrosch and Coleman offered practical advice that construed the immense attention to detail running a successful farm takes. In Damrosch’s letter, she poses myriad details a young farmer should take into consideration before embarking on the farming path, and an entire section of Coleman’s letter is dedicated to questions a farmer should ask themselves on day one of the growing season. Ever since he began Four Season Farm in the late 1960s, “young people have been showing up,” Coleman said. Over the years the farm has employed countless young folks who sought to learn from Coleman and gain their footing in their farming endeavors. While the backgrounds of the young farmers they’ve interacted with are increasingly diverse, their reasons for being there have a common thread, Coleman said. “When we talk to the twentysomethings who come and work here […] the best answer I get from them when I ask them the question why the heck they’re here and why they’re not investment bankers is they sort of have this hunch, and have had it for a number of years, that the world they’re expecting to enter will not offer them the job satisfaction that they’re hoping to find,” Coleman said. While nationwide, the number of young people planting farming roots is slowly increasingly, Maine is seeing a surge of young farmers getting started. According to the United States Department of Agriculture’s 2012 census, the number of farmers age 34 and younger in Maine grew about 40 percent from 2017 to 2012, compared to a 1.5 percent increase during that same time period nationwide. Given the number of farming resources and organizations that Maine offers for farmers, as well as the state’s positive attitude towards local food, it’s not surprising for Damrosch that young farmers are flocking to Maine. But as Pingree, 62, wrote in her letter, this wasn’t the case when she started her organic farm on the island of North Haven in 1971 when she was in her early 20s. At that time, stating she was an organic farmer was more likely to draw ridicule than praise, she said. Since starting her farm, Pingree has been elected to the Maine State Legislature, and in 2009 to the U.S. Congress representing Maine’s 1st Congressional District. In that time, the attitude towards organic and small scale farming has changed drastically, she said. For Pingree, this societal shift towards embracing organic and sustainable farming practices is proof that farming is a political act ― a notion that she outlined in her letter. As Pingree wrote, we as a country need more young farmers, and it’s not just for the act of farming itself, it’s for what that act impacts: making healthy food more accessible, growing more food without toxic chemicals, making sustainable soil practices the standard in farming, sending fewer chemicals into the air and the water supply, and making food grown down the road just as accessible as food that was trucked across the country.